Leonard G. Ambrose, III graduated from Cathedral Preparatory School in 1964; received a Bachelor of Science with honors in accounting and finance in 1968 from University of Michigan; and received his J.D. in 1971 from University of Cincinnati, College of Law. 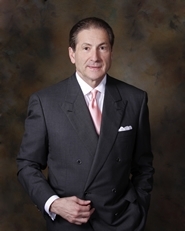 He began practice as an attorney in 1971, and formed the Ambrose Law Firm in 1978. He is a member of the Federal Bar Association, the American Bar Association, the Pennsylvania Bar Association, the Pennsylvania Association of Trial Lawyers, and the Erie County Bar Association. He is also a member of the Board of Directors of the Triumph Casualty Insurance Company.